Angela “LemurKat” Oliver was born and raised in New Zealand. She currently resides in the city of Christchurch where she lives with her husband and overactive imagination. Having achieved a degree in zoology and psychology, she went on to get a job working in a bookstore. Thus, her life revolves around books – she sells them, reads them and writes them. She is also an illustrator, and has created miniature works of art which she distributes around the world (into over 80 countries so far! ), as well as designing and illustrating book covers and interiors for herself, and for others. 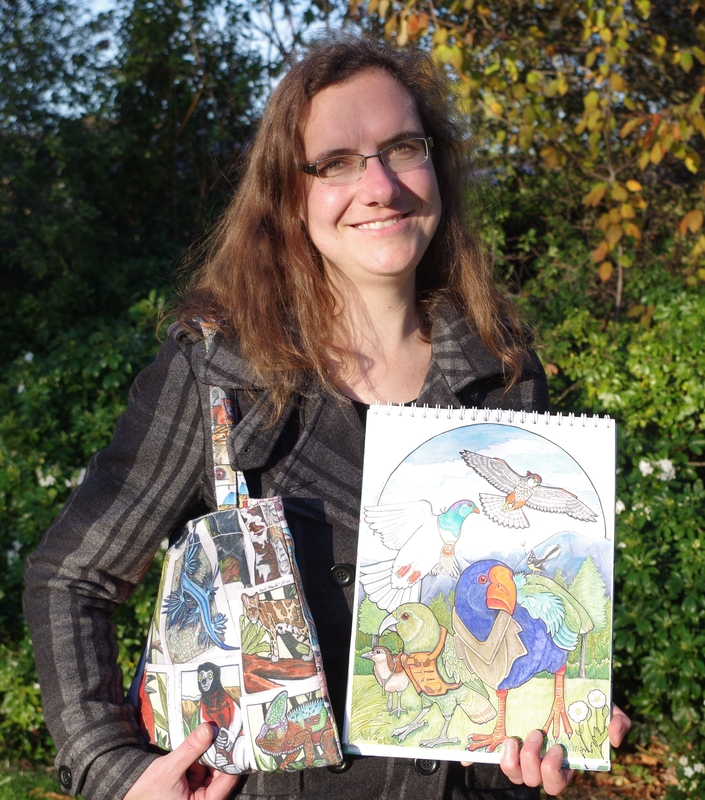 She has also created the ZooTrophy trading card game and has spent the last two-and-a-half years illustrating an animal-a-day. Currently she has independently published two novels, Aroha’s Grand Adventure: the adventures of a weka (that’s a flightless New Zealand bird) as she walks home from Christchurch to Greymouth, making many new friends and a few fiends along the way, as well as dealing with natural (and unnatural) disasters; and the first in her “epic lemur saga”, Fellowship of the Ringtails. 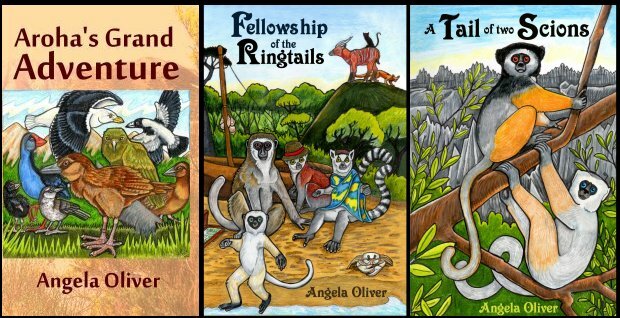 Set in an alternate-world Madagascar, where the sentient lifeforms are lemurs, with stone-age technology, it is the story of Aurelia, the illegitimate heir to the throne. 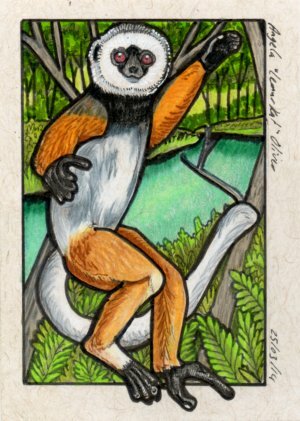 Raised by a humble fishing tribe, pursued by vicious hunters, she seeks sanctuary with the enigmatic Karazana lemurs, but will she find them in time? The second in the series will hopefully be released next year (2017), all things going to plan (as long as the characters co-operate). Whilst not all of her stories would be considered traditionally “Furry”, Angela rarely writes (purely) human protagonists, and all of her stories will include at least one animal companion. Her short story, “Invasion of the Fittest”, a story about pioneer stoats invading the Milford Sounds (an anthropomorphic re-telling of an ecological disaster), was published in the South Fur Lands fanzine, and her dark fable, “The Birth of Niamh”, can be found in the anthology Reflections. She also regularly blogs on self-publishing (and other things) for the Christchurch Writers’ Guild (http://chchwriters.org) and is an active (sometimes opinionated) book reviewer on Goodreads.